What!? A gluten-free, sugar-free, low-carb cookie? That's done in 5 minutes? Tell me more! At least that's what I hope you're saying, right? A few months ago, we found out that we were eating too many carbs. Seriously, we ate pasta at least a couple times a week and I love baking so we always had muffins and bread around. Everything was from scratch and whole grain so I figured we were golden. Per doctor's orders, I started looking for ways to make our old dishes low-carb friendly. I stopped making muffins every week and pancakes every weekend. Guys, I've started using zucchini in my lasagna. It's been an adjustment but we've gotten used to it. We'll still splurge randomly and on holidays but our everyday menu looks very different. Unlike some low-carbers, I don't consider cottage cheese and berries a dessert. I call that lunch. My idea of dessert? Something gooey and sweet like my chocolate Nutella mug cake. I've tried a few low-carb mug recipes but they were never good enough to suit Hubby. They were never sweet enough and had the oddest of textures. 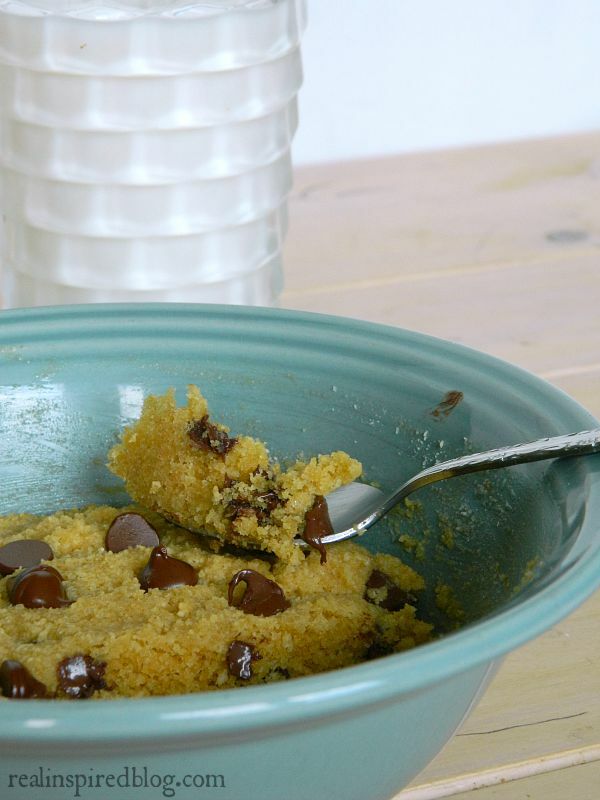 This peanut butter-chocolate chip cake from Home with a Purpose set me on the right track. 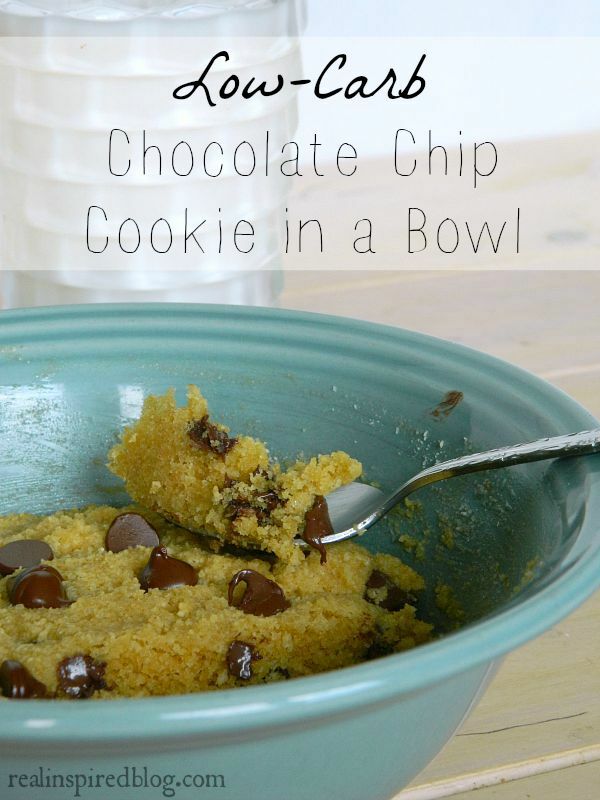 It only took a few adjustments to turn it into a regular chocolate chip cookie instead of peanut butter. It's kind of a cross between a cookie and a muffin. 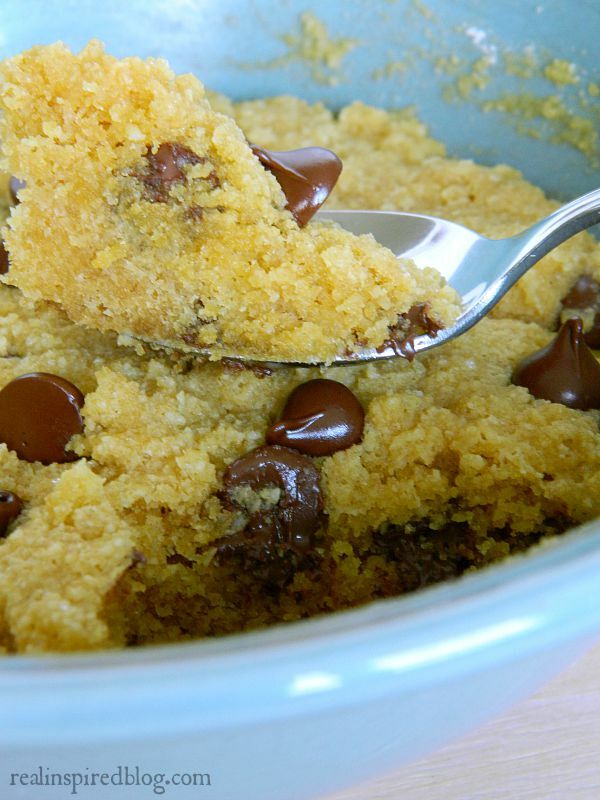 Sweet, warm, and crumbly with gooey chocolate. Just what a cookie dessert should be. Finally, Hubby has a low-carb dessert that he can enjoy. 1. 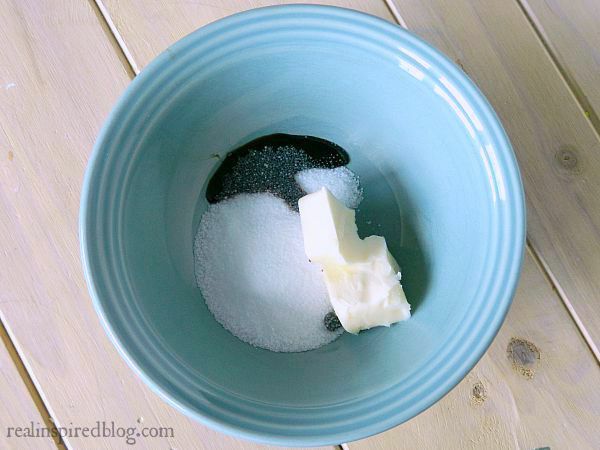 Cream butter, Truvia, and molasses together in a small, microwave safe bowl, just like if you were making real cookies. I use a fork to do this. 2. Mix in egg yolk, coconut milk, and vanilla. 3. 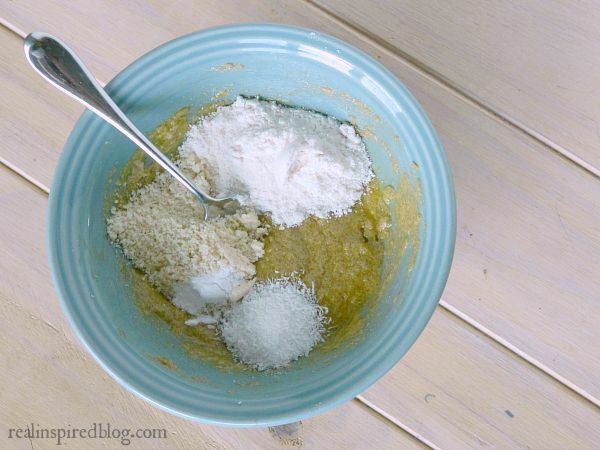 Add in the rest of the dry ingredients and mix well. 5. Microwave for 1-1.5 minutes. Start with 1 minute and if it's still too gooey, add 15 seconds until it's done. 1 minute and 20 seconds is perfect in my microwave but every microwave is different! Coconut flour can make things a little dry and crumbly. If you find it too dry and crumbly, I'd suggest adding another 1/2 tablespoon of coconut milk and/or reducing the cook time. That should take care of the problem! 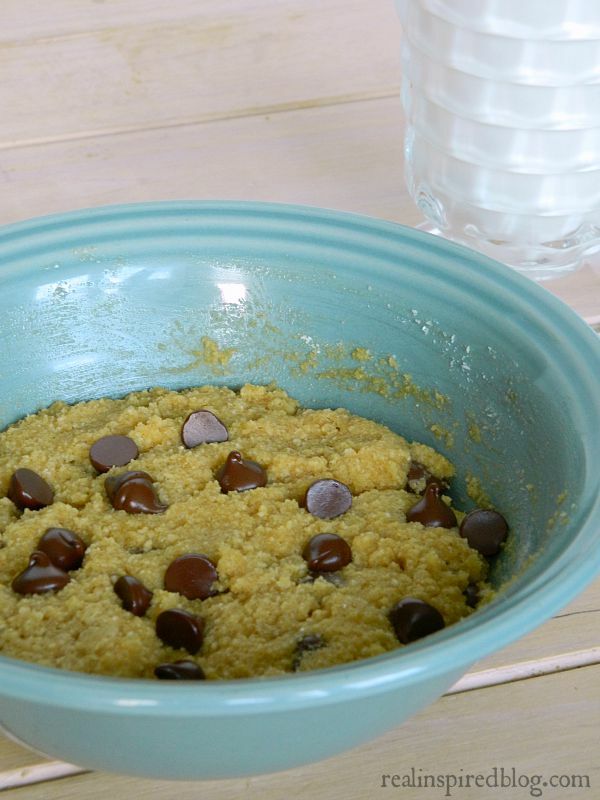 A low-carb chocolate chip cookie that's done in 5 minutes and doesn't scream, "Hey, I'm low-carb! You're depriving yourself!" I hope y'all enjoy it as much as we do!